On Thursday, 21 cars of a 105-car Burlington Northern-Santa Fe train hauling oil from the Bakken region of North Dakota derailed about 3 miles outside Galena, Illinois, a town of about 3,000 in the state's northwest corner. On Saturday, a 94-car Canadian National Railway crude oil train derailed about 3 miles outside the Northern Ontario town of Gogama and destroyed a bridge. 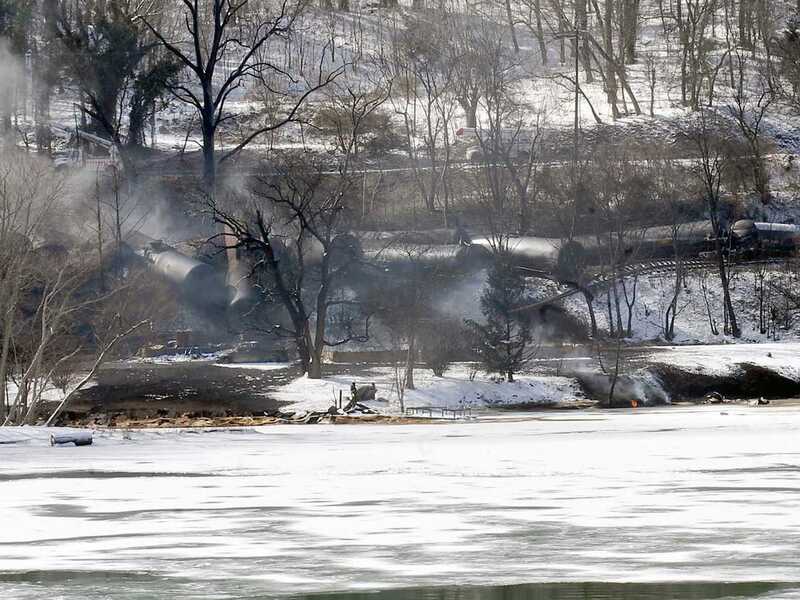 The accident was only 23 miles from the Feb. 14th derailment. Many factors can cause an accident, from too great a speed to operator fatigue. We won't know the cause of the most recent ones until investigations are complete, but weather may be a factor. When it is very cold, as it has been across much of North America, steel rails and train car wheels can contract and become brittle. If the steel has a manufacturing flaw, no matter how small, it can spread rapidly in the cold weather. Brigham McCown, a former head of the federal agency that regulates rail transport of hazardous materials, said an array of new technologies patented within the last decade can warn of defects and identify trouble spots before accidents happen. "Given the sheer volume of hazardous materials and crude oil, we simply can't afford to have these rail cars come off the track," McCown said.